You will find below the horoscope of Alizée (singer) with her interactive chart, an excerpt of her astrological portrait and her planetary dominants. Horoscopes having the same aspect Sun trine Neptune (orb 0°21'): Diana, Princess of Wales, Tom Cruise, José Bové, Friedrich Nietzsche, Juliette Binoche, Jon Bon Jovi, Miranda Kerr, Bill Kaulitz, Linda Goodman, Charlotte Gainsbourg, Tony Robbins, Michelangelo... Find all the celebrities having this aspect. Celebrities born the same day: Usain Bolt, Hayden Panettiere, Kim Cattrall, Kelis, Carrie-Anne Moss, Serj Tankian, Aubrey Beardsley, Princess Margaret, Countess of Snowdon, Frédéric Mitterrand, Wilt Chamberlain, Hawaii, Joe Strummer... List of all the celebrities born on August 21. Celebrities being the same height: Jessica Simpson, Natasha St Pier, Kelly Clarkson, Amy Lee, Vivien Leigh, Amanda Seyfried, Carrie Underwood, Lauryn Hill, Sheryl Crow, Letizia of Spain, Kat Dennings, Line Renaud... List of all the celebrities being 5' 3½" tall. Celebrities clicked on in real-time: 576,705,266 times. Alizée Jacotey (born August 21, 1984 (birth time source: Paddy de Jabrun, Astrodatabank, birth certificate on "La Chanson Française en Europe" (1999)) is a French singer. Born in Ajaccio, Corsica, she goes by the stage name Alizée — the feminine form of alizé, the trade wind. She was discovered by Mylène Farmer, a successful Quebec-born French singer, following her winning performance in the talent show, Graines de Star, in 1999. While collaborating with Mylène Farmer and Laurent Boutonnat, Alizée came up with two albums — both of which were hits inside and outside of France. Alizée used to be considered the protégée of Mylène Farmer, but since has struck out on her own. Here are some character traits from Alizée (singer)'s birth chart. This description is far from being comprehensive but it can shed light on his/her personality, which is still interesting for professional astrologers or astrology lovers. 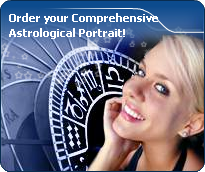 In a matter of minutes, you can get at your email address your astrological portrait (approximately 32 pages), a much more comprehensive report than this portrait of Alizée (singer). Alizée (singer), the diurnal South-eastern quadrant, consisting of the 10th, 11th and 12th houses, prevails in your chart: assertion and goals achievement are at the centre of your concerns. You are very keen to implement your dreams and your plans. You achieve your ambitions as soon as possible, whether through an active social life, highly charged friendly relations, or an urge to take actions in order to reap - in the eyes of the world, of course - the rewards of your dynamism. It is likely that spirituality or humanitarian actions are part of your motivations, sometimes at the price of some degree of isolation. Like the majority of Earth signs, Alizée (singer), you are efficient, concrete and not too emotional. What matters to you is what you see: you judge the tree by its fruits. Your ideas keep changing, words disappear, but actions and their consequences are visible and remain. Express your sensitivity, even if it means revealing your vulnerability. Emotions, energy and communication must not be neglected; concrete action is meaningless if it is not justified by your heart, your intellect or your enthusiasm. Alizée (singer), Fire is dominant in your natal chart and endows you with intuition, energy, courage, self-confidence, and enthusiasm! You are inclined to be passionate, you assert your willpower, you move forward, and come hell or high water, you achieve your dreams and your goals. The relative weakness of this element is the difficulty to step back or a kind of boldness that may prompt you to do foolish things. Your natal chart shows a lack of the Water element, with only 3.57% instead of the average 25%. Whether you are aware of it or not, affective values bring about problems, for you or your close friends. In general, a lack of Water does not necessarily mean that you are unable to love as much as others do. However, you may find it difficult to express the deepness of your heart and of your feelings. In the best cases, you come to terms with it, you adjust, you manage to show more affection or, why not, you pretend to be really affected! In the worst cases, you get into the terrible habit of repressing these essential values and you tend to forget that they are the basis of the richest and strongest bonds between human beings. The Mutable mode is the most emphasized one in your natal chart, Alizée (singer), which indicates a mobile character that is curious and thirsty for new experiences and evolution. You are lively and flexible, and you like to react quickly to solicitations, but don't confuse mobility with agitation, since this is the danger with this configuration - and with you, stagnation is out of the question. Security doesn't matter as long as you are not bored. You optimize, you change things, you change yourself... all this in a speedy way. Cadent houses, namely the 3rd, 6th, 9th and 12th houses, are very emphasized in your chart, Alizée (singer). They indicate important potential for communication, adaptability and flexibility. These houses are symbolically linked to the mind and intellect. The relative weakness implied by these characteristics indicates your tendency to hesitate or to be indecisive, but also your remarkable ability to start off again, which is a nice quality, finally: you can easily get yourself out of a tight spot thanks to your mobility and casualness, in the best sense of the term. This group of houses corresponds to evolutionary characteristics of your personality. However, they are only indications and you must include them in the rest of your chart in order to see whether they are validated or not! The 12th, 9th and 4th houses are the most prominent ones in your birth chart. From the analysis of the most tenanted houses, the astrologer identifies your most significant fields or spheres of activity. They deal with what you are experiencing - or what you will be brought to experience one day - or they deal with your inner motivations. After this paragraph about dominant planets, of Alizée (singer), here are the character traits that you must read more carefully than the previous texts since they are very specific: the texts about dominant planets only give background information about the personality and remain quite general: they emphasize or, on the contrary, mitigate different particularities or facets of a personality. A human being is a complex whole and only bodies of texts can attempt to successfully figure out all the finer points. Alizée (singer), inside yourself, feelings are strong and powerful. However, you never show them before weighing up and considering all the possible consequences of your words and your actions: fieriness and spontaneousness are toned down because you cannot help controlling yourself, probably due to your modesty, your discretion or your shyness; you are frightened because you are so concerned with other people's opinion that you see passion, or expressing your feelings too quickly, as sources of danger. However, you are helpful, simple, and you do not fuss around. Reason prevails in your love life but your heart may flare up when the context is well organized and everyday life is cautiously handled with good sense, tidiness and cleanliness. Your sensitivity prompts you to avoid excesses and outbursts and this is how you think that you can achieve happiness without risk. Alizée (singer), you are a real Goliath and you often excel in sport; your thirst for conquests prompts you to constantly launch new challenges. The enthusiasm you put in your undertakings is perfectly well supported by your moral concepts and an idealism compatible with the values of the society you live in. You are pragmatic, enterprising and sometimes, naive. You do not pay attention to details and you launch various great adventurous projects that are all doomed to success. In a few rare cases, you can funnel your huge energy into more philosophical, even spiritual or religious enterprises, where your entire fieriness works wonders. On the sexual plane, your ardour and your spontaneity are your main assets. The danger is that you may spread yourself too thin in the sense that you may forget about faithfulness, particularly during the extensive faraway travels you are so fond of. This text is only an excerpt from of Alizée (singer)'s portrait. We hope that it will arouse your curiosity, and that it will prompt you to deepen your knowledge of astrology, as well as to visit and use the wide range of free applications at www.astrotheme.com.